Oval shaped dress with ruffle detail in the front. 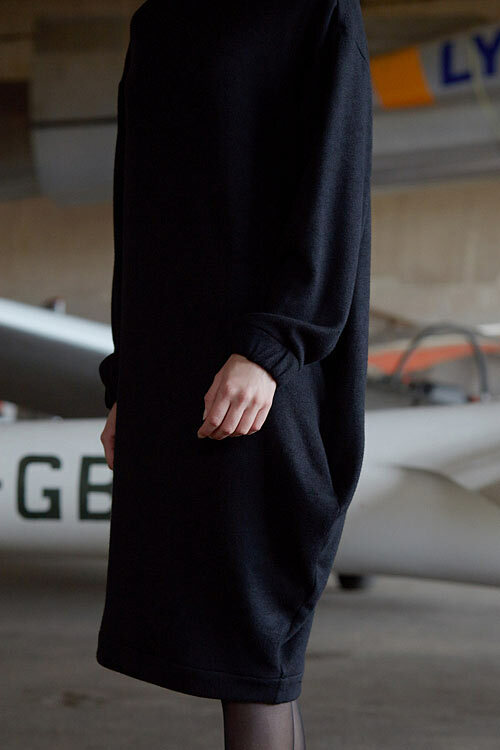 The length of the dress is below the knees. 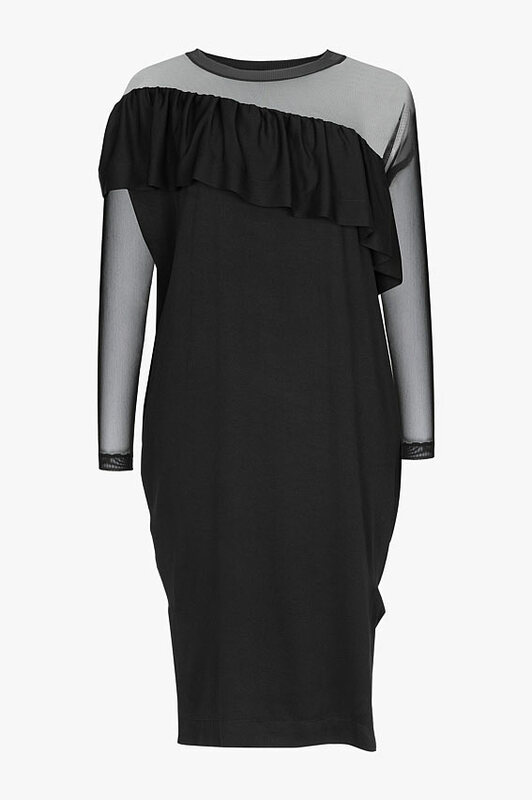 Dress is made of two different, but elastic fabrics: black mesh and light viscose that do not disturb the movement. Therefore, the cloth is comfortable and easy to wear. Long dress sleeves are made of transparent mesh. The rest of the dress is sewn of black viscose fiber. In front there is a ruffle detail that goes around the whole robe starting from one shoulder and ending on the other side of the dress, just below the armhole. Because of its’ detailing solutions the dress gives a classical vibe and is easily combined with various accessories. It perfectly fits for both leisure time activities and official events.